8 y Más, a bold lineup of internationally-recognized Latin musicians, is a force to be recognized with. La Orquesta de la Gente (formerly known as Hector Lavoe’s Orquesta) reunites all of the original musicians who performed with famed salsero Hector Lavoe prior to his death. In 2006, these talented musicians decided to get back together in NYC with the sole purpose of bringing back that magical sound that only Hector’s band had. Led by famed pianist Gilberto Colon Jr., who was the band leader for numerous years, this band will surely have everyone moving their feet. 8 y Más is one of the hottest new bands on the contemporary Latin music scene today. Comprised of a team of internationally recognized musicians, considered by many to be some of the best in NYC and beyond, 8 y Más boasts a group of stellar veteran musicians including Bobby Allende, Angel Fernandez, Ricky Gonzalez and Marc Quiñones. 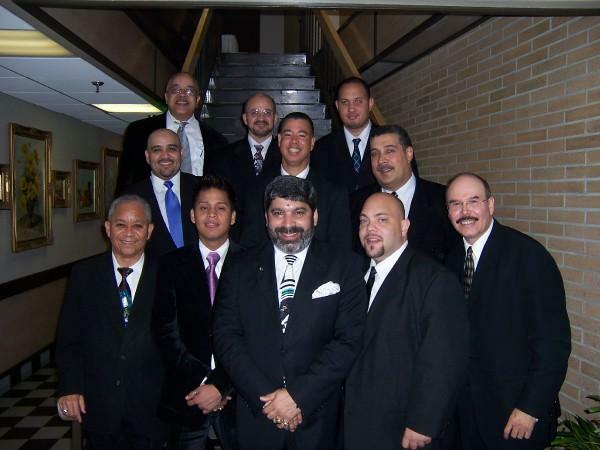 In November 2006, the band released its first production, Juega Billar, to much acclaim by salsa music lovers. Tonight, the band celebrates the musical legacy of the late, beloved Fania Records salsero, Héctor Lavoe.